Product information "Sram chain and cassette kit - XX1 11-speed"
The XX1 chain represents the latest breakthrough in a long line of precise, light-weight chains from SRAMIt's designed to deliver the greatest strength and reliability to a drivetrain that doesn't have to make compromises for front shifts. Only compatible to XX1 drivetrain! 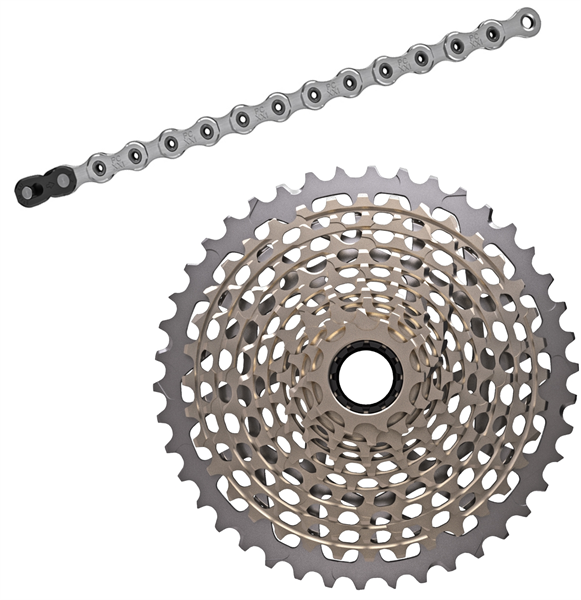 Related links to "Sram chain and cassette kit - XX1 11-speed"
Customer evaluation for "Sram chain and cassette kit - XX1 11-speed"